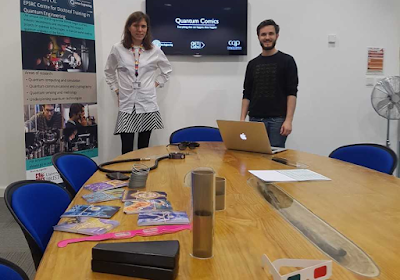 Last Friday I attended Bristol’s Quantum Technology Enterprise Centre (QTEC) open day on behalf of the Centre for Quantum Photonics (CQP) operational staff to find out about the new Quantum Enterprise Fellowship Programme beginning in October this year. The packed day gave QTEC the chance to show off their first-rate facilities and offered potential applicants and members of industry the chance to meet the staff involved and hear more about the revolutionary programme. I can imagine this will be the strangest aspect for many of the Fellows - a year away from any direct research, going to lectures and developing real business proposals. The programme has been designed by the University of Bristol and Cranfield University and there are two main pathways offering flexible training to meet the experience and needs of the Fellows. 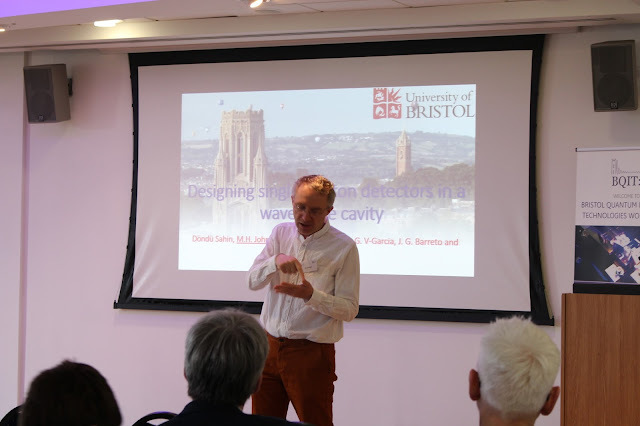 A highlight of the day for me were the three inspiring talks from Bristol’s entrepreneurs in residence – Mr Yuri Andersson, Dr Claudio Marinelli and Professor David May who spoke about their experiences with startups and their visions for QTEC. ‘I really see this more as an accelerator programme … it’s a phenomenal investment’ [Yuri]. The experts then joined QTEC’s manager Andy Collins and Chris Erven to field questions from delegates during the Q&A session. To me, the QTEC fellowship sounds like a no-brainer for anyone with an idea or entrepreneurial inclination, to overcome the void between technical expertise and commercialisation. After a break for lunch there were tours of the facilities and dedicated incubator space. 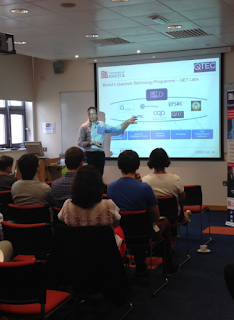 Mr Euan Allen then talked through Quantum at Bristol as a whole; all that QET labs encompasses and future aspirations. 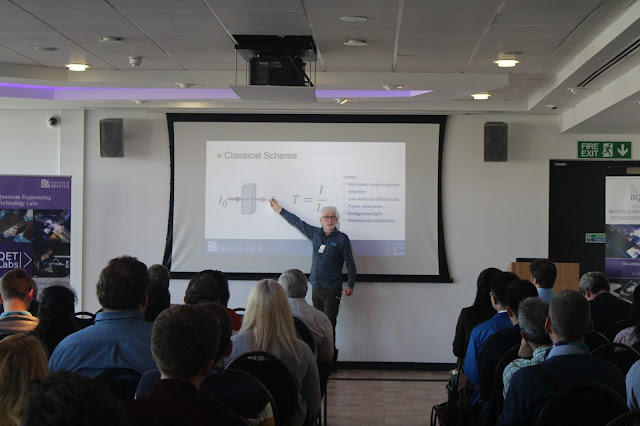 Euan also gave a very well received rundown on the evolution of Linear Optical Quantum Computing at Bristol using examples from the classical world to show how far we have come- and how small scale we've made it! 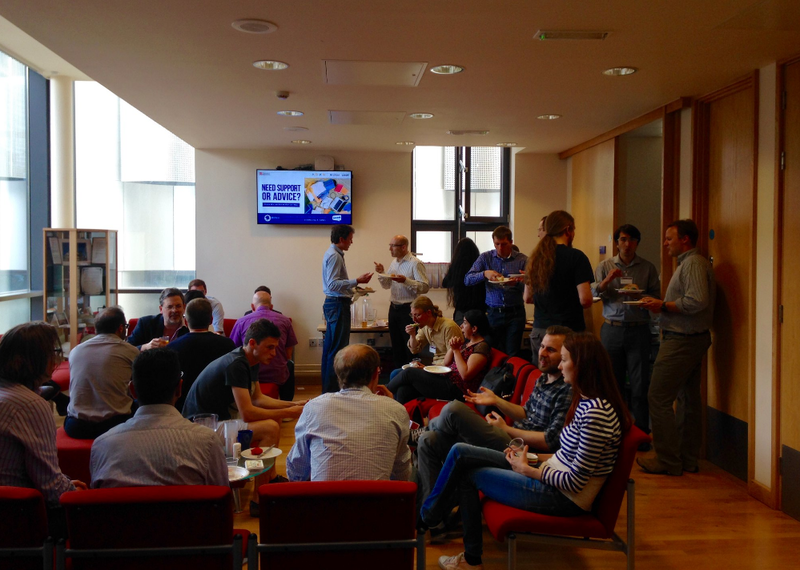 Dr Jake Kennard, a research associate at Bristol took over next to talk about KETS, an award-winning spin-off company developing ‘game-changing quantum technology to keep information safe’. He founded this company with Dr Chris Erven and a team of researchers within QET Labs. His entertaining talk covered some lessons learned in the creation of their business and the pitfalls of starting a business… without the enterprise training delivered through QTEC! 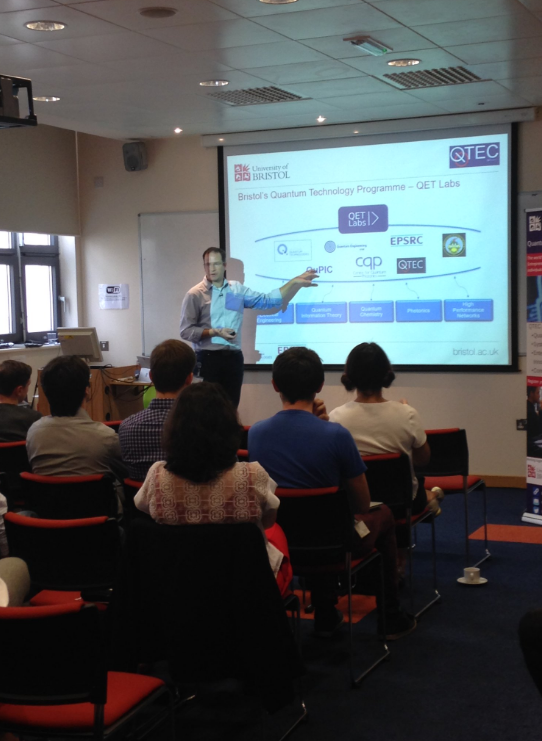 Videos of the event are now available via the QETLabs YouTube channel.